I have to admit, I had some difficulty getting into this book. The first half contains several scenes and pages of typical guy banter between Antony and his friends that might be amusing, but don’t do much to advance the plot, so I skimmed through those sections. Descriptive writing is obviously important to any novel, something at which this author is very skilled, but some passages contained so much it detracted from the story. A little can go a long way in putting images in the reader’s head. Dan Cummings is a nerd with a short attention span and shorter fuse (depending on poor sleep), but when he is able to stop arguing with his own internal monologue and focus for a few minutes he enjoys putting the noise in his head on to paper. A lifetime fan of monsters, comic books, sarcasm and casual violence, it is inevitable that these constituents regularly crop up in his books. 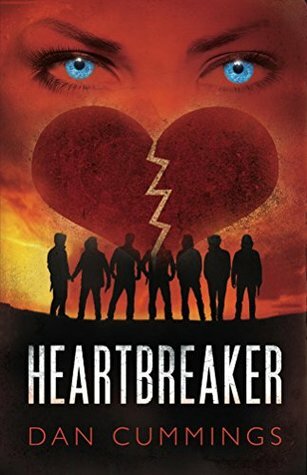 Heartbreaker is his first foray into horror, whilst Sparks: Welcome to the Madhouse, is the first instalment of an on-going supernatural, action/adventure series. I’ll admit to a bit of initial distaste towards this book that showed itself soon after I started reading. Simply put, drug dealers and drug users (much like alcoholics who are unwilling to seek help) disgust me. They’re right below rapists, pedophiles, and child killers in my book. Still, even with that bias in my head, Joan De La Haye’s Fury was almost impossible to put down. The imagery in Fury is graphic. There is no skirting around the violence that happens. There’s everything from detached dangly bits used as gags, to a spirit stalking around on stumps. The worst parts of heroin withdrawal are splashed across the page in all its fetid glory. 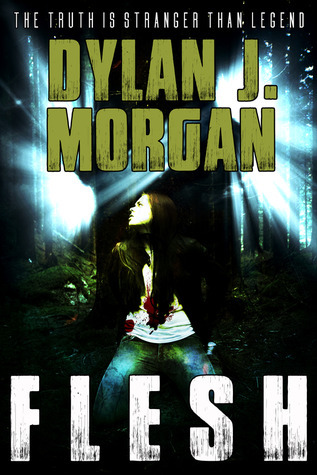 It’s not a book for the weak stomached or easily disturbed. De La Haye’s easy and unflinching display of the explicit brings to mind the more interesting (and disgusting) of Richard Laymon’s work. This is a story of vengeance sought and delivered. A young woman’s spirit cannot rest with the atrocities committed against her. 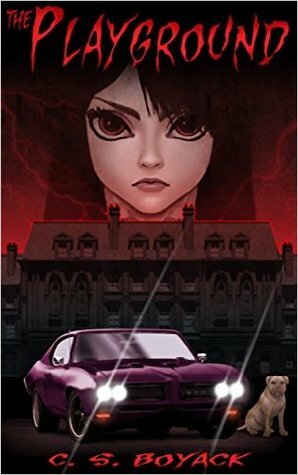 Her insane rage knows no bounds, and that is how a young girl – Alice – finds herself in the mix. She’s survived by wit and will, and even found herself caught up in an attraction that makes no sense. It is perhaps her very survival which puts her in the spirit’s path of devastation. Fury is the definition of paranormal horror in the violence that the vengeful spirit wrecks, but it is made even worse by the evil acts of humans. 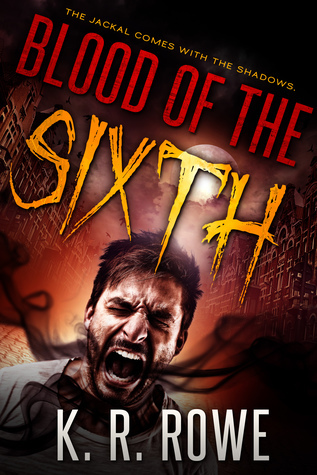 The two together combine to make a story that horrifies even as it entertains. I wouldn’t recommend Fury for everyone, but instead for people looking for a bit of a darker read than they usually get. 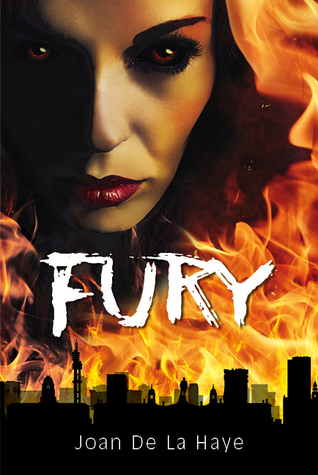 Available on Amazon, Fury is available now for those who can handle it. 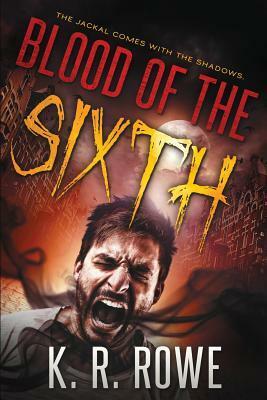 As a warning to those who don’t like their horror on the gory side -this book is probably not for you. The first several pages are particularly graphic and difficult to read, but those scenes also enable the reader to understand Angela’s need for revenge. And what a revenge tale it is. There are some areas that could have used a little more editing with tense changes and incorrect word choices. In one scene, a person flings a match onto some gasoline, and in another clenches their hands – but it had already been mentioned this person has no hands. I also found some of the dialogue a little unbelievable, but overall, this is a story die hard horror lovers would enjoy. Set in the mean streets of Pretoria, the story starts with Andre, a smack addict who will do anything to get his fix ~ including supplying girls for the makers of snuff and sexual torture films. He entices Angela, who is murdered in the most brutal way imaginable; the only trouble is, she keeps coming back to remind Andre of what he’s done…. ….enter Alice, Andre’s next ‘mark’, an art history student who has a bit more about her than the usual victim. Alice is caught in the middle when un-dead Angela wreaks havoc to extract her revenge. This is horror at its most grisly, in fact I don’t think I’ve ever been more keen to point out that a book is not for the faint of heart, and you definitely shouldn’t read it while you’re eating. If you’re a fan of films like ‘Hostel’ and ‘Saw’, and if you didn’t have to shut your eyes in the more revolting bits of ‘Trainspotting’, you’ll like this. That is all I will say! It’s an interesting portrayal of human life at its most debauched, and Andre’s junkie torment is expressed so graphically that it should put anyone off even mildly addictive prescription drugs (!). There’s a good twist at the end, it’s a decently thought out story and not badly written, certainly not boring, though I found some of the dialogue a little unlikely and there are lots of repetitions that should have been sorted out in redrafts and editing. I found it just okay, but I imagine it will tick the boxes for lovers of no-holds-barred, gruesome horror. I’m not usually a horror fan, so when Erik Therme sent me his new release I had to first think about YA horror as a genre. [See Chunky Teen Soup and other #YA #horror tropes.] But I was interested in the book for two reasons. The first is that I read his debut novel Mortom (see my review here) and called it one of the most well-written books I’ve ever not liked. I have a little problem with Erik Therme’s books. I think they are terrifically written books with a great sense of pace and individual style and full of characters I really do not like. At all. In Resthaven, the main character is fifteen-year-old Kaylee, who has transferred to a new school following her parent’s divorce. She’s furious at her parents, misses her old life and friends, and mortified when her mother forces her to attend a party given by one of her wealthy new classmates. Kaylee’s seething resentment holds the other girls up to a toxic lens as each of them reveals their own personal tragedies. She’s especially furious when the hostess takes them to an abandoned retirement home on the grounds of her house and sends them off on a scavenger hunt. Very soon the girls find themselves locked inside the crumbling structure, only to discover that they aren’t alone. Author Therme ticks off the standard YA horror tropes is businesslike fashion. The building itself is not only abandoned and derelict, but almost completely dark because boards have been nailed across all window openings. The girls split up almost immediately, and despite the way they tell each other on a regular basis to stick together, they each keep heading off alone, facing the inevitable injury and danger as the building’s secrets are revealed. And that’s where things got interesting for me. The girls are by turns mean, cowardly, jealous, self-serving, capable of betrayal, stupidity, empathy, and the occasional nice gesture. Each of them is aware that she is outside of the popular crowd. Indeed, there is apparently another party that day to which none of them were invited. In other words, they are like almost every teenager anywhere. The stakes rise steadily as the dangers multiply. And without providing spoilers, I can say that when it comes to the usual tropes we expect to see—characters bonding under adversity, perhaps forming romantic attachments as one girl’s twin brother arrives, or facing a pivotal dark moment that turns this into a coming of age story—well, those things don’t actually happen. Instead we get characters who behave realistically under increasing pressure and danger. They struggle to make what they encounter fit into their world view, with only limited success most of the time. And at the end three of them take away the one thing—friendship—that, I believe, each wanted most of all. So, yes. I don’t like horror. I don’t like the girls in Resthaven. But I do like Erik Therme’s writing. As I said about his last book, it’s just that good. Therme is not interested in having the story “cure” any of his characters’ problems. Most people aren’t any better off at the end than where they started, and character development is at best subtle. Therme is a writer who is more interested in poking his characters—poking them hard and then even harder—to see what they’ll do. But unlike his last book, this one holds out some promise of the characters bonding as they are instead of as they are changed into by their experience. I would give Resthaven four stars. These characters aren’t for everyone. They certainly aren’t warm or adorable, or even particularly likeable. And the structure of the story itself—no chapter divisions and little imposed editorial structure—might not appeal to everyone. 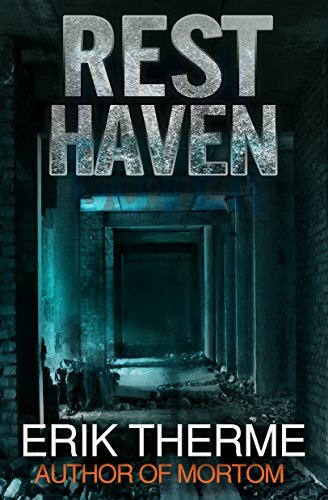 But if you like good writing, a sense of pace, plenty of atmosphere and danger, and a strong voice, then I recommend Resthaven.